Canvasflow has rich integrations with some of the most popular app and social publishing platforms on the planet. Lets take a look at what that means for your business. Canvasflow makes it simple to instantly publish content to App platforms such as Twixl and Pugpig, but also to social channels including WordPress, Apple News, Facebook Instant Articles, Medium and more. Each of these channels provide different audiences, a wider reach and more flexibility in how your content is consumed. There is no limit to the number of channels that can be connected to each publication. Full documentation of Publishing with Canvasflow can be found in our Publishing help documentation. 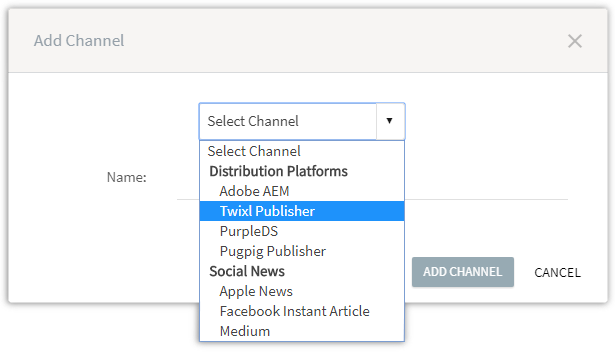 To see how easy it is to connect a new publish channel, take a look at the video below which shows how to connect to Twixl Publisher and begin publishing.